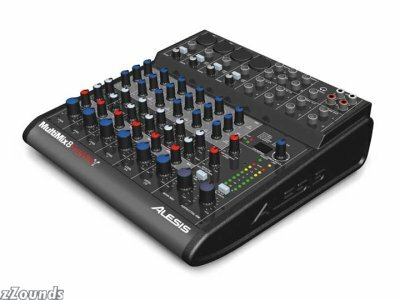 An Alesis MultiMix Firewire 8 mixer that I use for simultaneous multi-track recording with Apple's GarageBand. Technically, this was an early gift as I've used it to record two episodes of On Digital Media already and am very happy with the results. A 5.1 Home Theatre System. Inexpensive and only 80 watts, but it does the job in our small living room. 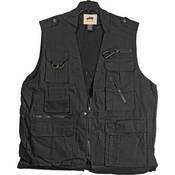 A CampCo Safari Photographers Vest with a bazillion pockets. This is a must-have for business travel. I can fit nearly every gadget, wallet, sunglasses, watch, notebook, iPod, book, keys, tickets and other paperwork in this thing and not have to worry about getting through security. I just take the vest off, stick it in one of those silly plastic tubs that the TSA gives me and send the whole thing through the x-ray machine. Done. I have a Scott eVest Fleece that I use most of the time but sometimes, the weather is just too warm to wear it. (For instance, my upcoming trip to CES in Las Vegas, where I'll be speaking on a panel about podcasting.) Yes, I'll look like a big dork getting to and from the airport, but it's so convenient, I just don't care.